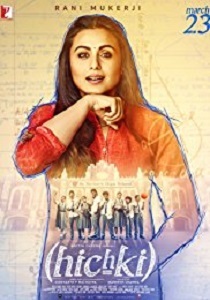 Review Summary: 'Hichki' is Rani Mukherji all the way! A gritty inspiring tale. It can make you nostalgic about your school days and remind you of your favourite teacher. This one definitely deserves good grades. Watch it for Rani, she won't disappoint you. But leaving the cinema hall might make you wonder if this was the best comeback film for her. Strongly recommended for teachers and students. Rani Mukerji Gives Us Hiccups Of Love!